Details: Schaus-Vorhies Companies’ have developed organically over the years. They have grown from one contracting company to six companies with over 75 employees. Unfortunately, their web presence was going in about 15 different directions. 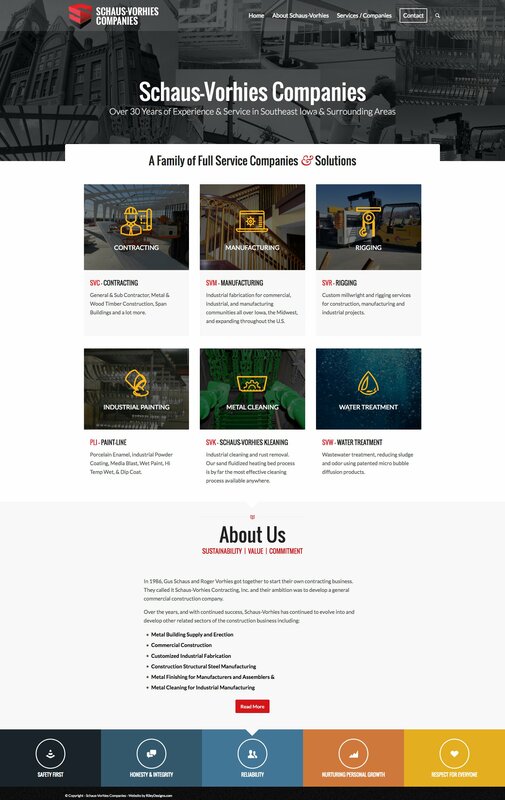 The goal for this project was to provide a single web platform to showcase each company’s services all in one place. This gave us the opportunity to address and tie together the Schaus Vorhies branding while providing a cohesive look and manageable web presence using WordPress. Here is the new parent company logo that ties together block elements of individual company logos that have been used for years on everything.